Personable little spud Mr. Potato Head has been a fixture of toy chests since 1952, when he was introduced by Hasbro as a way of dressing up actual potatoes with funny eyes and noses. His current incarnation debuted in 1964, and went on to become one of the most popular toys of all time. Now, the classic toy is getting another redesign, Gizmodo reports. In partnership with the UK-based grocery store Asda, Hasbro has issued a limited-edition version that looks, well, a little bent out of shape. The new design is meant to call attention to the viability of “wonky,” misshapen vegetables that often get passed up for more aesthetically pleasing selections, despite being just as tasty. 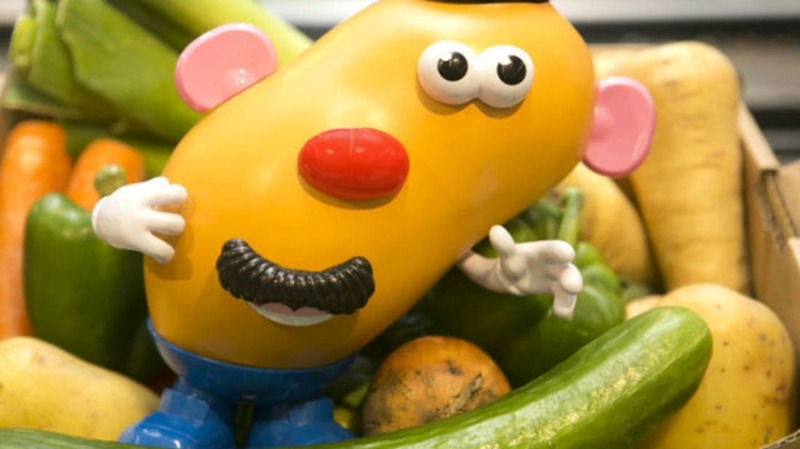 The toy company is auctioning off the misshapen Potato Head on eBay UK, with all of the proceeds going to FareShare, a charity that distributes surplus food to those in need. The auction runs through July 3. There’s no word on whether the design will ever be produced in mass quantities.